The holiday season is a great time to show someone how much you care. This card background creatively references the holiday season's most romantic tradition. 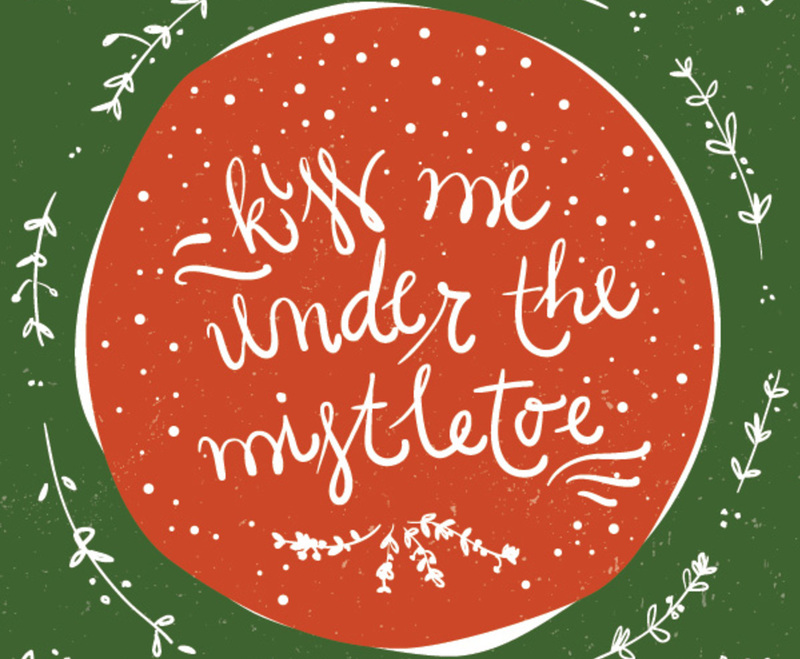 A red circle displays the message "kiss me under the mistletoe" in cursive alongside falling snowflakes. A sprig of mistletoe sits at the bottom of the circle. More sprigs of the festive plant surround the circle, forming a casual frame, and white snow drifts on the sides of the circle help to keep things festive. The calm green background works nicely with the red of the centered circle, and the entire graphic has an irresistible hand-drawn look.